2nd prize in the non-open two-phase planning competition with 16 participants. A new residential quarter is being built on the grounds of a former school. 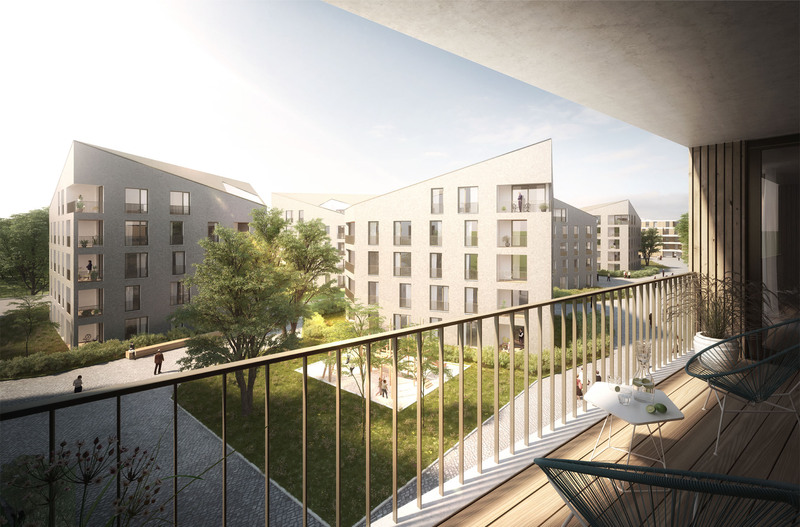 The development’s location, adjacent to the Hartenberg Park on the north and east sides, lays the foundations for the design, which, with the concept “Living at the Park”, aims to be an extension of the park area. In order to fit in with the surrounding environment and to create a variety of building types, two designs, each with a gross floor space of 37,726 m2, are selected for the planned area. 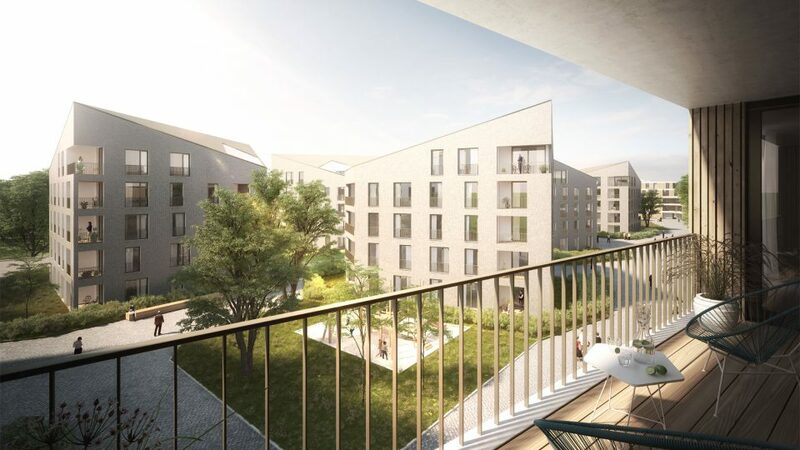 Three long, stretched out apartment blocks shield the neighbourhood from acoustic sound emissions from the Hartenberg Park and provide privacy for the residents. Gaps in the apartment blocks provide a connection with and views of the adjacent park area. Nine solitary, pointed blocks are distributed irregularly over the site, facing in different directions and, through their structural arrangement, creating a large amount of free space. The structures are right angled on two sides, while the other two corners have flat or acute angles, creating a noticeable dynamic not only on the exterior of the building, but in the interior as well. Each building is positioned to provide the optimal amount of daylight in its interior, with no one residential unit facing purely to the north. The arrangement of the buildings and their selected structure create individual rooms and living spaces, while at the same time forming a new urban space alongside the street. The residential buildings, distinguished by their haptic materials in warm colours, such as wood, glass and ceramic surfaces, as well as its landscape design dominated by green, create a special quality of living.